Philadelphia's most elegant woman. She is always impeccably attired, her hair, face and clothes pure stylistic perfection. I have no idea who she is, but I have seen her around Rittenhouse Square and in the Ardmore Suburban Square Shopping District for the past 15 years. 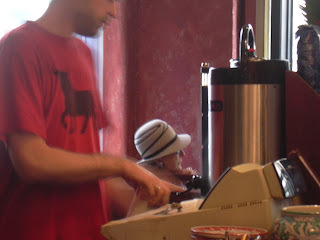 I managed to capture her image at La Colombe Cafe. 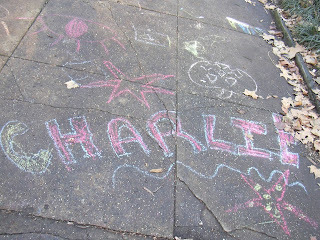 The warm 60 degree temperatures brought out hoards of people to Rittenhouse Square, as evidenced by the children's art - Sidewalk Chalk Charlie was at it again! 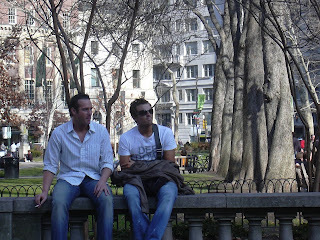 The warm weather brought out the hot boys too. And the bikers were geared up ready to ride. This is Chuck - a very amiable fellow. 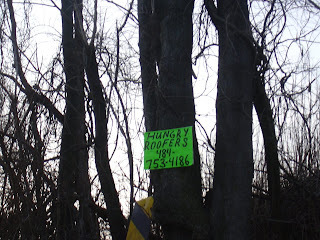 Closing out the day - I spotted this sign in the Paoli area - Hey, Roofers gotta eat too. 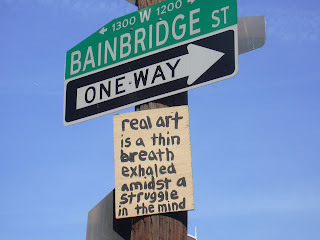 there's our sidewalk art from our walk to the park on a very odd/post-rain/warmish day! :) p.s. charlie rules !! !